Keith Urban can’t find enough ways to express his love for Nicole Kidman! 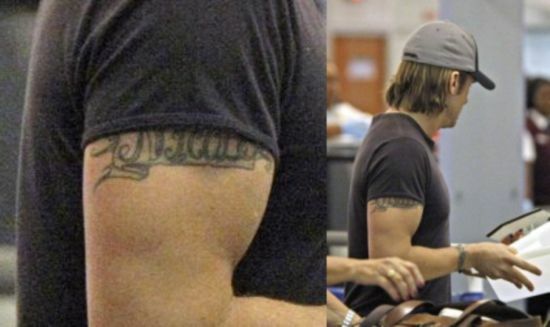 The latest thing that the country music singer has done is a huge ‘Nicole’ tattoo inked across his arm. A glimpse of the much-hyped tattoo in black could be seen from beneath Keith’s shirt sleeve when he was spotted last at Los Angeles International Airport. Enormous as it is, this particular piece of body art surely means that Keith and Nicole are getting quite serious! After the birth of their baby back in January this year, the couple is apparently hell bent on taking their relationship to the next level. Well, here’s hoping for the best!